Is there an all-in-one solution that can shred both my rotational and solid state hard drives? We as sales consultants talk to people every day about technology and security. Everyone seems to be aware of the importance of destroying their standard rotational hard drives. Over the last several years (particularly because of the cost coming down) we have seen the rise in use of solid state drives. However, unlike a standard hard drive, an SSD has to be shredded down to a smaller particle size to ensure that all the small chips are destroyed. 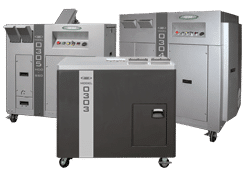 Rather than purchase 2 separate machines, there is one solution that can shred both rotational and solid state hard drives. 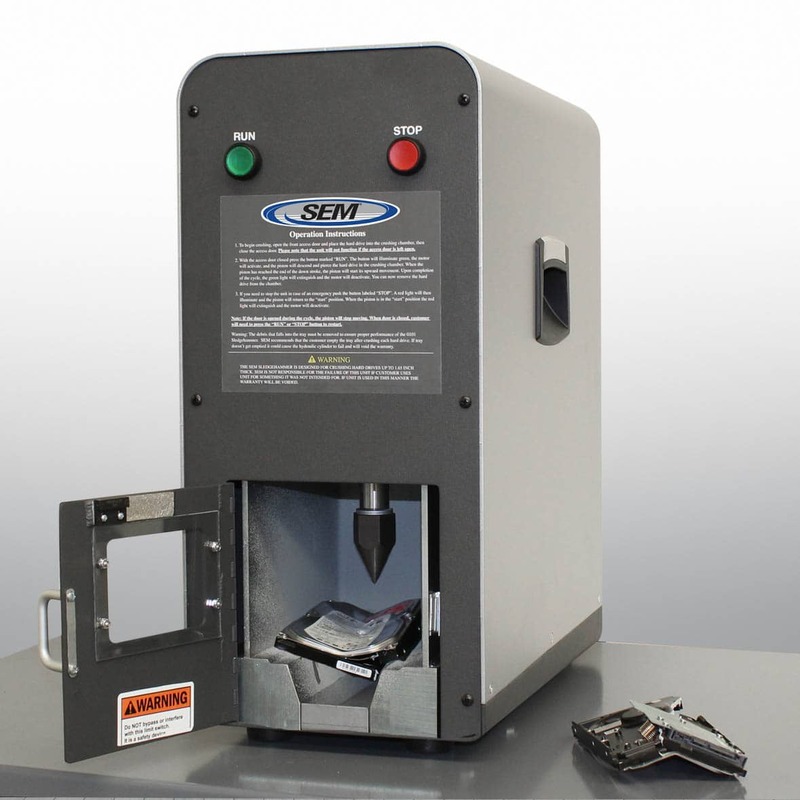 For those looking for a dual destruction capability, SEM has a full line of HDD/SSD Combo Shredders . This is a good option for State and Local Governments that have unclassified drives. 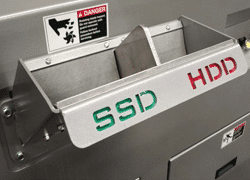 These shredders have dual feed openings one for SSD’s and one for standard HDD’s. The SSD’s are shredded down to a particle size of .375” to ensure the particle is small enough to hit all the chips. With the rotational HDD side you can choose a particle size of 1.5”, 1.0” or .75” depending on the model and security level you feel comfortable with. They are available in several voltages, horsepower, and the waste can be discharged into bins or through an output conveyor based on your volume. So, if you are interested in an all in one destruction solution for your HDD’s and SSD’s, SEM has a solution for you. Please call 800-225-9293 for a consultation with your Regional Sales Manager.